Glenn Gandelman, M.D. (New York) - Book Appointment Online! 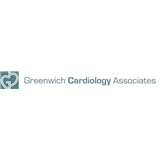 Dr. Gandelman is a board certified cardiologist and internist specializing in the diagnosis, treatment, and prevention of cardiovascular disease. short waiting times and very professional staff. The doctor presented a good bedside manner and listen to and addressed my concerns to my satisfaction. Rose is amazing, she is very professional.